Service and Repair - pdblowers, Inc.
We'll get your system to full strength and keep it that way. pdblowers, Inc. is a leading distributor and service provider for positive displacement blowers, vacuum pumps, and related equipment. Every day we strive to offer clients high quality products that provide long life and value, which are backed by reliable support services. You rely on your positive displacement blower to operate efficiently, but heavy use or mechanical failures can cause problems that require swift action. Fortunately, pdblowers offers positive displacement blower repair services that can return your unit to its original factory condition. 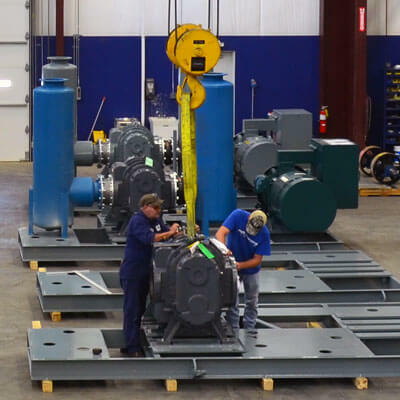 When you send your positive displacement blower to pdblowers, we disassemble and inspect the unit and report its current condition and what actions are required to make it like new. If approval is received to proceed, we then rebuild the unit to factory tolerances, including any required machining. Painting the unit, cleaning the head plates and bead blasting of impellers and cylinders are all included in the price of the repair. 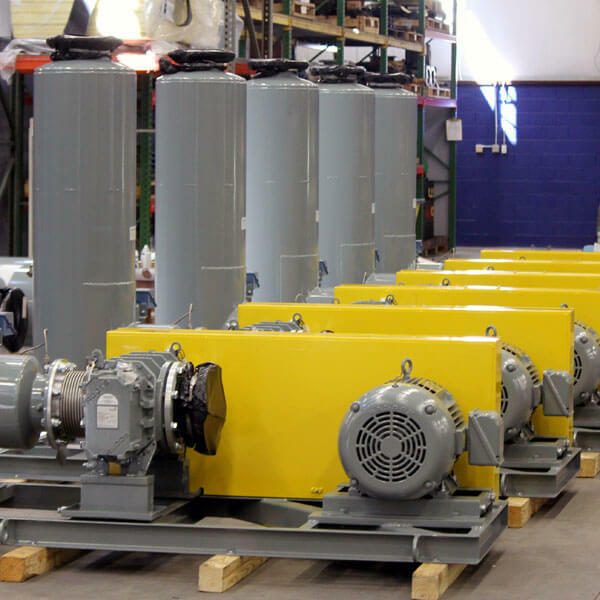 When you utilize our positive displacement blower repair services, you’ll value our 12/18 warranty in addition to our knowledge and repair capabilities for all major brands including Roots, Sutorbilt, Cycloblower, Duroflow and Tuthill (MD Pneumatic). Repaired units are warranted for 12 months of operation or 18 months after date of shipment. Click to learn more about our positive displacement blower repair services or schedule an inspection. 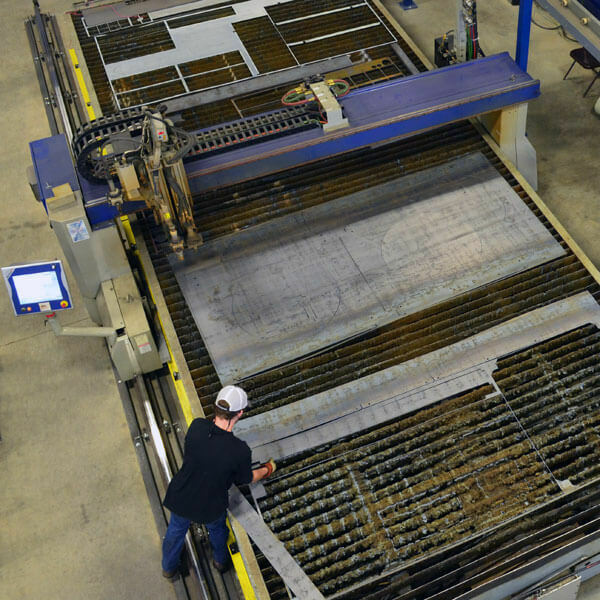 We have the experience and capabilities to retrofit your system with new components, like a VFD or remote monitoring system, or repurpose your equipment for use in a new application. 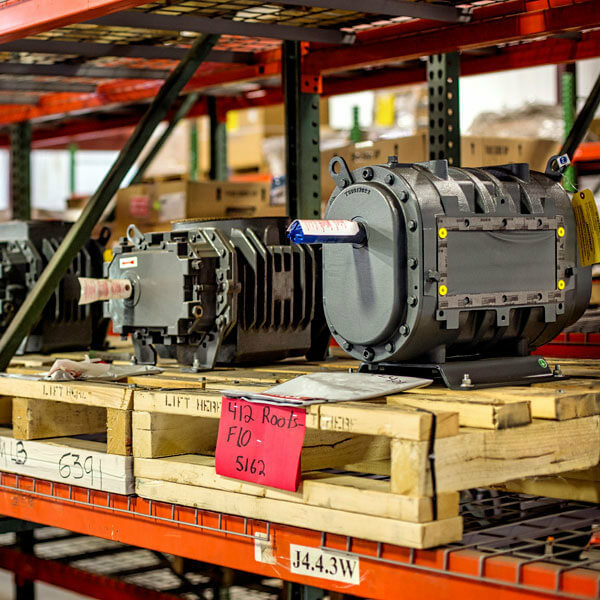 To serve as a comprehensive source for all of our client’s vacuum pump, positive displacement and centrifugal blower needs, we serve as an agent for several leading manufacturers in the industry. 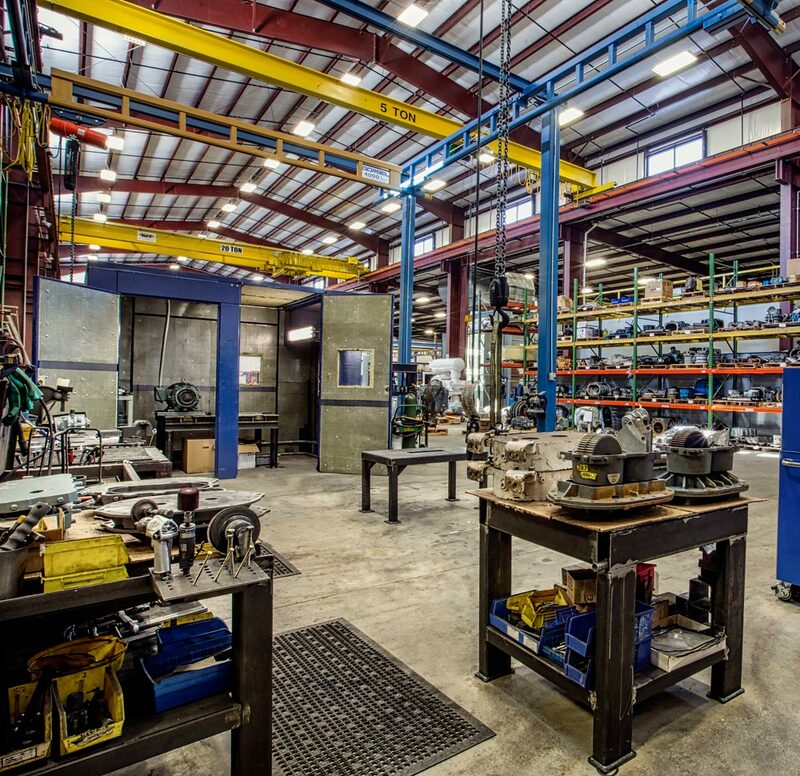 View our library of resources—including technical documents, videos, and more—intended to assist you in getting the most from your positive displacement blower, vacuum pump, accessories, and system as a whole.